These are some of the individual and collective campaigns that seek to help the people from Cuba and abroad. After the disaster caused last Sunday by the tornado in Havana, thousands of people inside and outside Cuba have come together to show their solidarity. 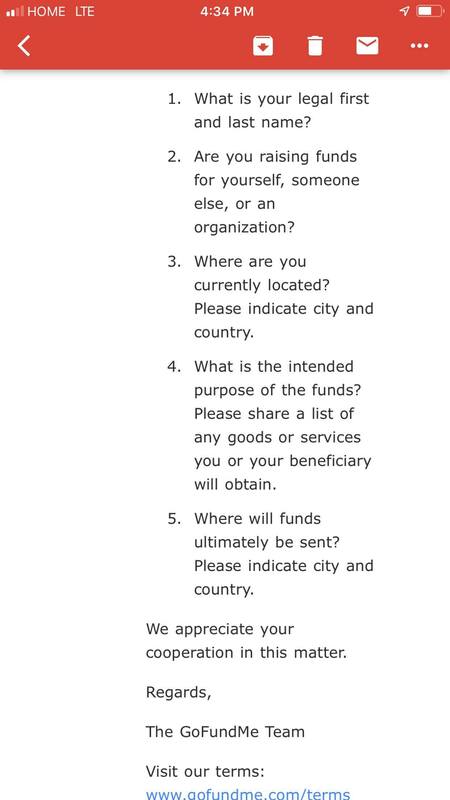 If you want to help the Cuban victims, you should read well before handing over your money or material donations. 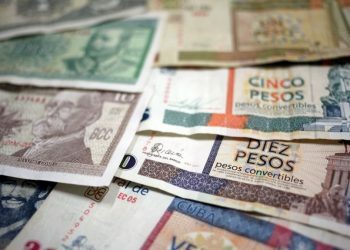 According to the temporary group of the Provincial Defense Council, natural and legal persons living in Cuba or abroad will now be able to make material and financial donations to the tornado victims in Havana. All the received donations will be adressed to the municipal government, as was informed by Tatiana Viera Hernández, vicepresident of the Provincial Aassembly of the People´s Power, to the official journal Granma. These are some of the individual and collective campaigns that seek to help from Cuba and abroad. One of the initiatives comes from the Fábrica de Arte Cubano. The cultural institution led by the well-known X Alfonso is making a collection to deliver to the victims on Wednesday, January 30. Alfonso made it public on his Facebook profile and many people have rapidly joined. Renowned Cuban artist Michel Mirabal published a personal initiative on Facebook, explaining that he would not participate in the next Biennial of Havana, to dedicate his available resources to help the victims. In an interview with OnCuba, Mirabal said that up to now he has his personal resources and that they will start with that, but he is open to receive material donations (clothes, medicine, appliances, or any other useful element) for the affected families. With a group of friends and close friends, they will determine the worst cases and maintain a sponsorship relationship with these families to help rebuild their homes. 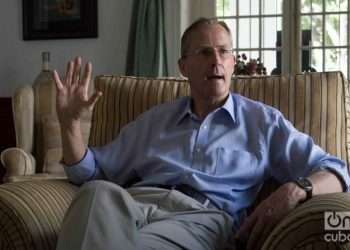 “We still do not have a road map on how and where we will do it, but what is certain is that the aid will reach those affected people,” commented Mirabal. He also said that he is open to collaboration with other initiatives and that he expects other artists to join his proposal. People who want to send donations can do so at the following address: Finca Calunga (studio gallery Michel Mirabal) Avenida Las Americas 2 e and final, Marbella, Guanabo. Habana del Este. They can also call 77962079 for more details. “From this moment on my biennial is summarized in helping, helping and helping,” he posted on his Facebook profile. 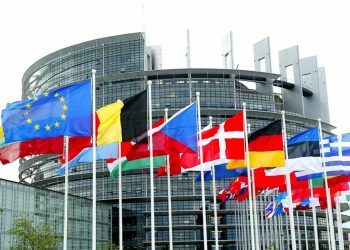 In her personal account on Facebook she shared the details of the collection of donations published by Peti González, wife of Amaury Pérez Vidal. Samuel Formell, director of Los Van Van, also sent his support to all those affected through their social networks, and offered the art of his orchestra to perform concerts where needed. 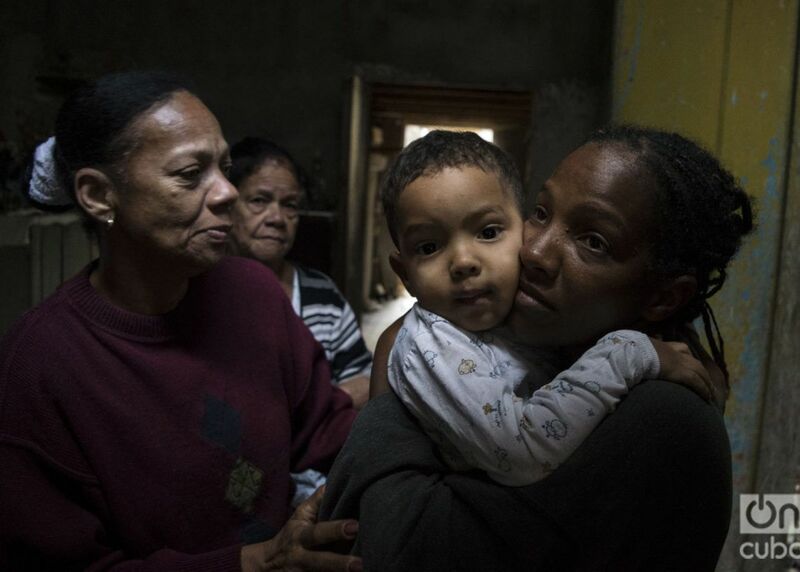 Audiovisual producer Asiel Babastro took to the streets in the damaged neighborhoods, along with his team, to bring some relief items to the residents. Today went to give our soul to the people, what little we have is a lot for them. A girl told me about the ruins of…. Among the institutions that have come together to offer means to those who wish to contribute, are the EGREM Recording and Musical Editions Company, the Office of the City Historian, the Hermanos Saíz Association and the Communication Faculty of the University of Havana. Join us, we can all help! #FuerzaCuba #FuerzaHabana #SomosCubaEgrem Santiago Estudiosiboney Egrem Estudios de…. #Feconianos this is a moment of union. There are those who lost everything. They need our help more than tears. #FuerzaCuba…. The National Council of Plastic Arts (CNAP) sent by email a statement inviting the collection of goods. The National Council of Plastic Arts joins Ananda Morera Almeida in her call to all artists, Cubans, all “to help our people. Let’s start collecting food, water, clothes, construction materials and support all those who have been left with nothing. With tools in hand, nails and screws we can build roofs, even if temporary, fix furniture and beds.” Every detail counts…the minimum at this time is an important help! The collection will take place at the CNAP headquarters (1205, 3rd street between 12 and 14, Miramar, Playa). In 3 days we can collect enough and go out to the streets to help the needy!!!! WE LEAVE EARLY ON FRIDAY IN A TRUCK TO HELP! Telephones: 72023897 (CNAP) and Ananda 5 2928486 / 76479206. HELP THE VICTIMS!!!! Let’s get out of our homes, let’s get together and help our people. This is the moment!!!! Another of the profiles in the social media that brings together energies for help is that of BandEra Studio, a musical label of collaborative management made up by several artists of Cuban alternative music. 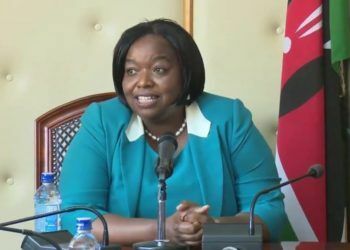 Caption: #BandEraStudio joins the initiative carried out by people and institutions to get aid to the…. Composer Osmany Espinosa, director of La Oficina Secreta, joins efforts to collect donations and distribute them as soon as possible, along with King Bar, a nightclub in Vedado. Caption: Everyone who wants to Help with Something to support the victims of the disaster. Today and Tomorrow at the King Bar…. Other private businesses have offered different types of aid. Such is the case of the platform A la Mesa, which waives its profits in home deliveries; others like Tres Chinitos and Mar Adentro make discounts on their products; and some like D’La Abuela offer to take free food to families who need it. For that, they request information about the most needy. If you know of any case, below you can see the link with the contacts. Caption: DISCOUNTS – We have waived our profits in home deliveries made through Alamesa in…. Caption: HELP US HELP. If you know any family in the neighborhoods affected by the tornado and that have no food or way…. Initiatives of Cubans emigres are being organized from the United States and other countries. 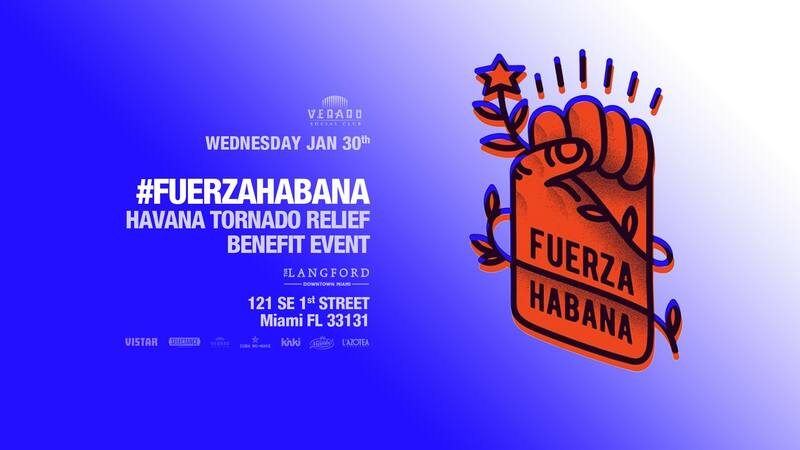 This Wednesday night there will be an event on the roof of the Langford Hotel in Downtown Miami, sponsored by Vedado Social Club and Mambo Miami, to raise aid for affected Cubans. Several of the organizers have worked full time to elucidate the best strategy to bring aid to those who need it. This was the case with the organizers of this collection of funds, which exceeded their own expectations. Out of the 15 days they had to collect the aid, in little more than a day they surpassed the planned number. 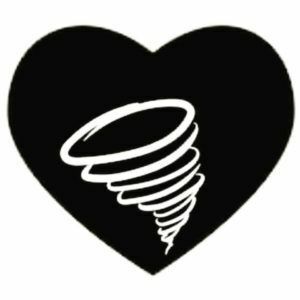 Another way to continue supporting this group of young Cubans who want to help Cubans who lost everything during the tornado is through Instagram. Cuban-american teacher Carlos Lazo also started a crowdfunding project from Seattle. He and his students will go to Cuba in February 14th to help the affected people. The initiative started through GoFundMe. Other initiatives include representatives of urban music, reggaeton, artists in general come together to “contribute a grain of sand,” as they have said in direct videos on Facebook. Caption: Cuban artists are interested in doing a concert in Miami to raise funds for my trip to help the…. “What we need are positive people, not add fuel to the fire,” said an artist on the All-Star website305. These initiatives that arise from everywhere are not free of obstacles. Some of them are due to the economic sanctions with which the U.S. punishes Cuba. 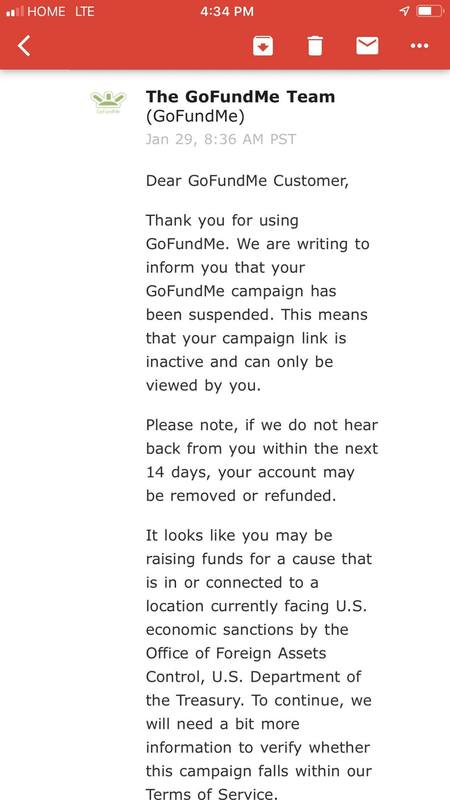 This happened with a campaign in GoFundMe led by Cuban Claudia Barrientos and a friend who is in the United States. 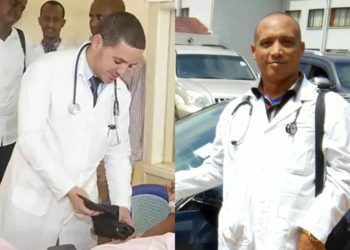 Both received an email announcing that they would freeze the funds raised so far (approximately 400 dollars). Caption: URGENT!!!!!!! Friends, the link of our GoFundMe for Blue Project has stopped working because the company…. When trying to find other alternatives, Barrientos entered through Canada, but the restrictions are the same, because the company GoFundMe is American. 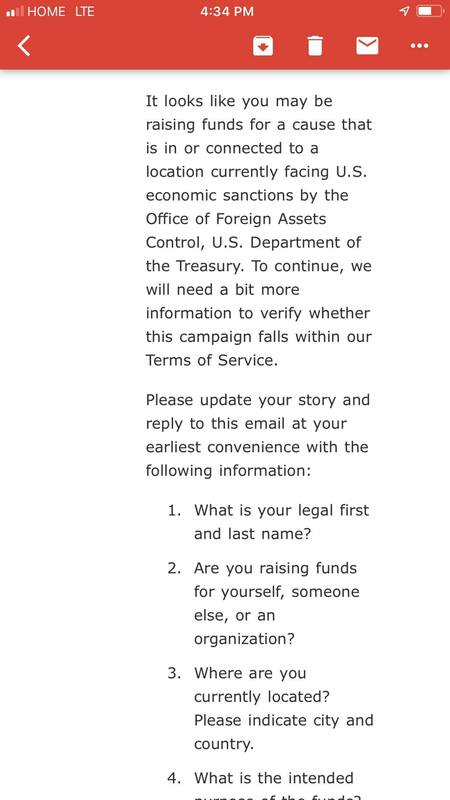 “In user agreements it says that you agree not to make transactions with nations under economic sanctions by the Treasury Department,” Barrientos said. “My friend got scared, and we both felt very frustrated. It’s like being caught between two irrational sides. 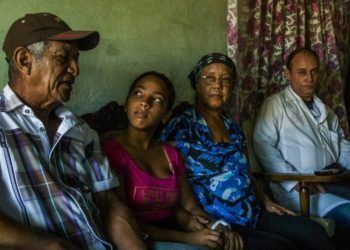 Neither the embargo makes sense nor fulfills the proposed function, nor does the government of Cuba have mechanisms created so that individuals can help without having to go through government institutions,” said Barrientos. Another part of the problem on how to help from abroad is the lack of channels created by Cuba to make it possible. Renowned actor Luis Alberto García published a post on Facebook where he says that “when someone decides to give their support it is wrong to remain silent or look elsewhere,” referring to people who want to support from outside the country and do not receive a response. Caption: There are many good and supportive people, Cubans and non-Cubans, outside the coasts of the archipelago, asking for channels…. 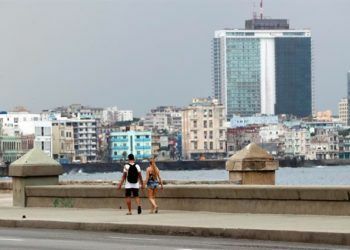 He also said that “even Customs should make their laws more flexible at this time,” something asked by thousands of Cubans who want to help their fellow Afro-descendants on the island.